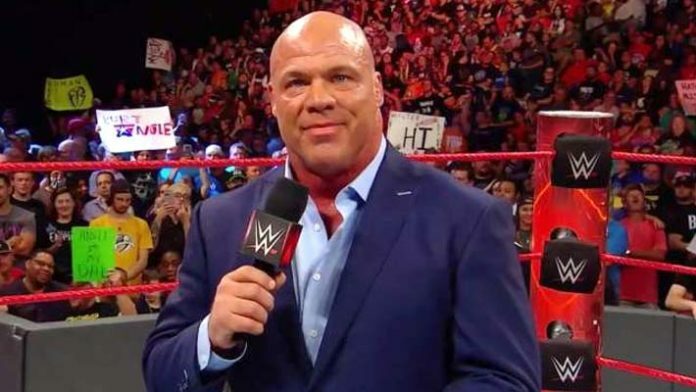 WWE Hall Of Famer and Monday Night RAW General Manager Kurt Angle recently did another Q&A on his Facebook page. He took various questions from the WWE Universe, one of them asking for his thoughts on Brock Lesnar’s upcoming UFC fight. “The Beast” returned to the mixed martial arts (MMA) world at UFC 226 when he got into the Octagon and confronted newly-crowned UFC heavyweight champion Daniel Cormier. The pair got into a shoving match and UFC President Dana White later announced Cormier vs. Lesnar would be the next fight for the heavyweight strap. You can check out Angle’s full Q&A on Facebook by clicking this link here.